If you’ve been looking for things happening in Durango this December, you’ve come to the right place! 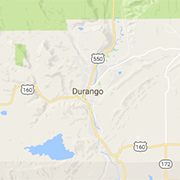 We’ve got a full list of events for any Durango local or tourist looking for a great time. There’s over 40 events to attend, whether you’re driving through our little mountain town looking for a way to spend a few hours, or you’ve lived here your entire life. There’s even events for those looking for an excuse for a weekend getaway! 12/1-12/2 - 44th Annual Holiday Arts and Crafts Festival Looking for handmade holiday gifts created local artist? Head to the Holiday arts and Crafts festival the first weekend of December! 12/2 - A Traditional Family Christmas Concert Bring the whole family to the FLC Community Concert Hall for the Durango Choral Society Holiday Concert. 12/4 - Avalanche Awareness Class Ski season is here so make sure you’re prepared! 12/6 - 12/8 & 12/15 - 12/16 - Seussical Jr Visit the Durango Arts Center for the live production of Seussical Jr, the well-known story of Horton Hears a Who. 12/7 - 12/9 - Bizarre Bazaar - Join the Durango tradition of the Bizarre Bazaar bringing you unique creations from 23 local artists. 12/7 - Noel Night Be sure to shop local this winter and stop by Durango’s magical Noel Night. 12/8 - Holiday Farmers Market - Head to the La Plata County Fairgrounds to shop for holiday meats, cheeses, veggies, gifts and more! 12/9 - Short Fest Stop by Fort Lewis College to watch a collection of short films created by Fort Lewis College students. Be sure to stay after for a Q&A with the creators. 12/13 - Bar D Wranglers Christmas Jubilee Stop by the Community Concert Hall for a holiday celebration the Durango way! 12/14 - 12/16 - A Charlie Brown Christmas - With the stories and songs many of us remember, mark your calendars to see the live production of the classic tale. 12/20 - Xmas Canteen A holiday swing dance special live at the Community Concert Hall! Through 12/27 - Winter Solstice Artisans' Market Stop by the Durango Arts Center to see creations from over 40 regional artists for your holiday shopping. All Month - The Polar Express™ Train Ride This family fun event is a Durango Classic! Witness the Polar Express story come to life with an event you’ll be sure to remember. 12/14 -12/16 - Christmas in Vallecito This festive weekend includes a pancake breakfast, a poker run, an ugly sweater contest, a kids party, and more! 12/7 - Ignacio's Taste of Christmas Stop by the old Elementary School for an Ignacio holiday tradition! 12/10 - Holiday Glass Etching It’s time for adults to get more involved with crafts! Personalize your own mug, baking dish, jar or candle holder you yourself or for a gift. 12/1 Holiday Spirit Gallery Tour A Bayfield holiday tradition! Come for demonstrations, refreshments, and holiday gifts! 12/8 Santa Arrives on the Ferry Be sure to bring the family and a camera to have a visit with Santa! 12/3 - Ice Skating Head over to Farmington for the annual opening of their outdoor ice skating rink from 1pm-6pm. Be sure to bring your friends and family to get a discount! 12/7 - Evening of Lights Watch the Aztec Ruins National Monument be filled with lantern lights for an unforgettable evening. 12/8 - The Santa Dash One of the best ways to warm up in the winter is with a 5k! Be sure to register early for one of the most festive races in the Four Corners. 12/8 - Aztec Sparkles Christmas Festival Join the community for a festive parade, shopping, arts and crafts, music, and of course, Santa! 12/15 - Reindeer Romp This family fun run offers both a 5k and a 2 mile North Pole Stroll and is sure to be a festive event to remember. 12/21 - Winter Solstice Celebrate this solar event, learn about the Pueblo astronomy traditions, and watch the sunset over the Aztec Ruins. Tuesdays - Local Day at the Hot Springs - There’s nothing like a dip in the Hot Springs in the cold December months. And remember, locals (even Durango locals) get half off every Tuesday! 12/1 Ouray Yule Night Arrive before 5pm to get a great view of the holiday parade. Santa and Mrs Claus then lead the way to the Ouray Elks Lodge for photos! 12/7 - Wine, Chocolate, and Cheese Festival The ultimate chance to try before you buy! Stop by the Ouray Community center to enjoy great wine, cheese, and chocolate for $20. 12/16 - Gingerbread House Decorating Bring the whole family and decorate gingerbread houses at the Ouray Community Center. Reserve your house online for $15. 12/1 - Yule Log Festival Search for the hidden Yule Logs at the Kendall Mountain Recreation Center. Stop by at 10am for hot chocolate and candy canes! 12/8 - Community Christmas Potluck Bring either a salad, bread, side or dessert and decorate a table for a chance to spend time with the local community. 12/24 - Santa Comes to town Be sure to stop by the corner of 13th and Greene at 1pm to take photos and meet with Santa! 12/25 - Christmas Luncheon Join the community for a holiday lunch at the Silverton Public School Cafeteria. 12/15 - Fun Race With 14 different age brackets, there are races for all ages and abilities. 12/7 - 12/9 Telluride Fire Festival Inspired by Burning Man, join the fun and celebrate community, art, and fire! 12/15 - Holiday Prelude Telluride Mountain Village is hosting tons of free activities such as sledding, ice skating, movies, train rides, and a figure skating performance. 12/31 - New Year’s Eve Torchlight Parade and Fireworks Start the new year with a blazing ski show and fireworks! 12/1 - Annual Electric Light Parade Join the festive light parade with brightly-lit boats, bikes, cars, horses, and more! 12/2 Dragon Lights Previously known as the New Mexico Chinese Lantern Festival features new dragon displays and performances for a fun evening for the entire family.